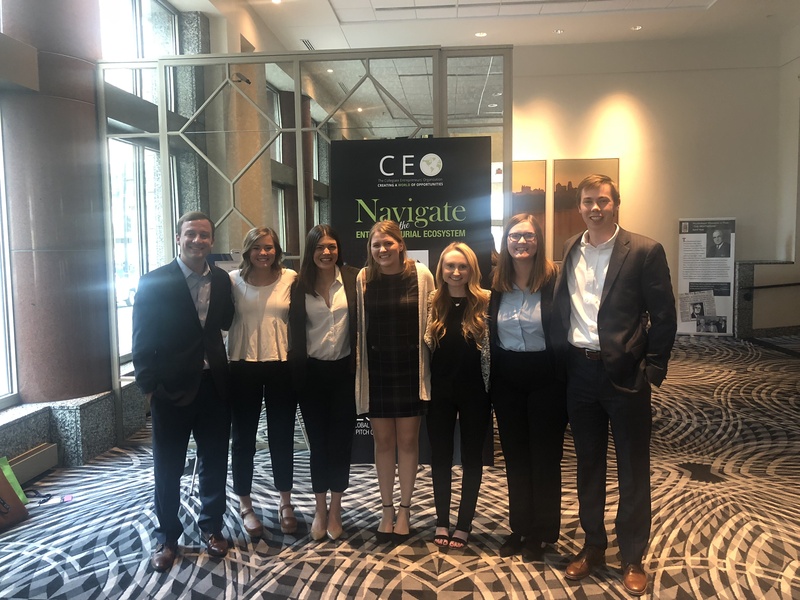 This past November, our executive teams for ACU CEO and Wildcat Ventures had the opportunity to represent our chapter and ACU at the Collegiate Entrepreneurs’ Organization National Conference in Kansas City, MO. The Wildcat Ventures team: Courtney Eubank, Evan Beck, and Shelby Watson, captured the award for the Best Revenue Generating Initiative. This marks the third time Wildcat Ventures has won the award in the last four years. This year’s exec team presented to a panel of judges, diving into our 8 student run businesses under the Wildcat Ventures umbrella, each company’s financial statements, how current students entirely run each business, and how these chapter businesses provide funds for our CEO chapter to plan and execute so many events for our student members. 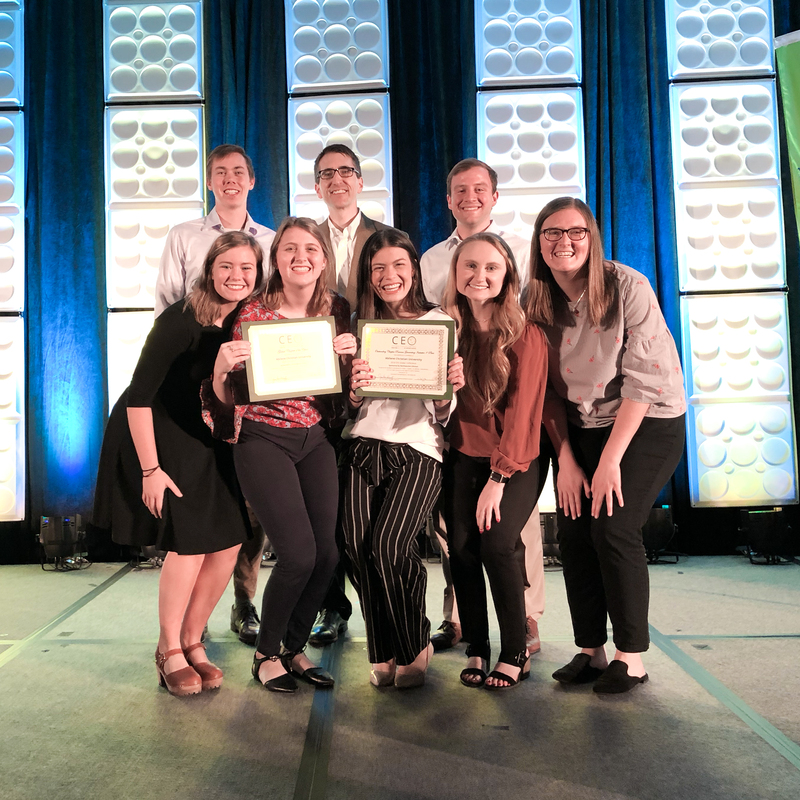 Our CEO Executive team: myself (Meredith Orr), Greg Johnston, Cammie Seaman, and Caroline Fairly – won the overall award at the conference for Best Global Chapter of CEO. This win made ACU the first school in CEO history to win the overall award four times in a row! Our team presentation to a panel of judges described the different trips, networking opportunities, and events that our CEO chapter hosts every year for our student members, our broader campus community and our local Abilene community. Winning these awards is truly an honor and helps validate the hard work the students and our executive teams have done this past year. The award also shows how the Griggs Center is providing countless valuable and unique opportunities for students like myself to lead, learn, fail, succeed and grow both inside and outside the classroom. Wildcat Ventures is a success because they provide a great venue for students to gain real world experience running a business with actual revenue and losses, and how to succeed, but also how to grow from failures when businesses and employees don’t perform as expected. ACU CEO is a success because we are invested in showing our student members why entrepreneurship is an option they should feel confident in exploring and how they can approach any career with an entrepreneurial mindset. I am extremely proud to have led this organization for the past year. I am so thankful for the teams I get to work with, and their passion and drive to have the most impact possible, and make every day challenging and exciting. I’m grateful for all the guest entrepreneurs we are blessed to gain wisdom from and who are so giving of their time and resources to help college students grow.